Four hundred pounds per square inch tested strength. 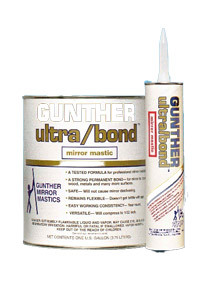 Provides a permanent bond between the mirror and drywall, wood, metal or painted surfaces. 10 oz. tube.